Born at Red River in 1835, the son of Alexander Ross and Sarah Ross, brother of William Ross, he was educated at St. John’s College and subsequently received his BA at the University of Toronto. He married Margaret Smith (born 1835 in Scotland) in 1858. He taught briefly at Upper Canada College and then returned to Red River where he was appointed Sheriff, Postmaster and Governor of the Gaol in 1862. Between 1860 and 1864 he was joint editor and proprietor of the Nor’Wester, which became identified with the Canadian Party in the settlement. Because he criticized the Hudson’s Bay Company he was dismissed as Sheriff in November 1862. The next year he was chief defence counsel in the abortion trial of G. O. Corbett. 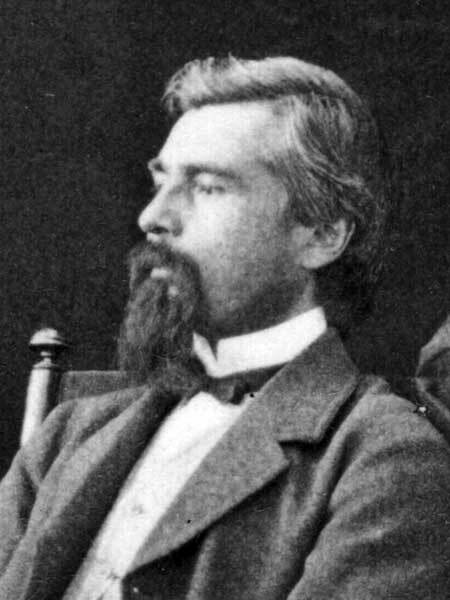 He left Red River in 1864 to study law in Toronto, and turned to journalism to support himself and his family while obtaining his qualifications, working for the Toronto Globe, the Hamilton Spectator, and then the Globe again between 1865 and 1869. He returned to Red River on the eve of the Red River Rebellion, quickly becoming the spokesman and leader of the English mixed-bloods in the November council meeting with the Métis, to which he was a delegate from Kildonan. His advocacy of cooperation with the Métis at this council, although falling far short of an advocacy of rebellion, separated him from the Canadian Party in the settlement. Ross served as a delegate from St. John’s to the Convention of Forty, and was chosen as the convention’s interpreter and a member of the influential Bill of Rights committee. He opposed provincial status for Red River but supported the general aims of the resistance, and was appointed chief justice in the provisional government. Ross was the only Anglophone mixed-blood in the colony who had the stature and the ability to oppose Louis Riel on equal terms, and his equivocal support for the resistance was a crucial factor in its success. Ross was tall and slender, with black hair and a widow’s peak. His face was aristocratic and he was extremely handsome. In later years he sported a full black beard and moustache, and he had bushy eyebrows and piercing eyes. He worked unsuccessfully to defeat John Schultz in the election campaigns of 1870 and 1871, but continued to drink heavily, and died on 20 September 1871. He is commemorated by James Street in Winnipeg. There are substantial if scattered papers at the Archives of Manitoba. “James Ross: 1834-1871: The Life and Times of an English-speaking Halfbreed in the Old Red River Settlement” by Leonard Remis, MA dissertation, University of Manitoba, 1987. James Ross, Dictionary of Canadian Biography X, 629-31.